I'm currently on a major blue kick. It's nothing new.. I've loved it for a long time, it's a classic in my book, and most of my downstairs is painted light blue/gray. But for some reason it's kicked into high gear lately. I think it's because it's spring. 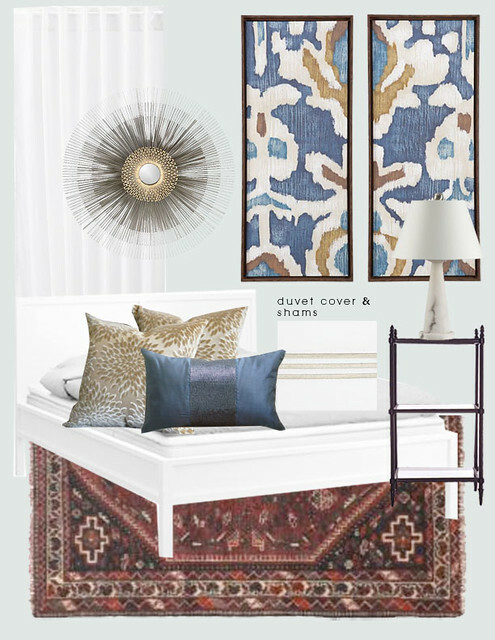 The e-decorating client didn't have any specific inspiration rooms in mind, but she did say she loves Kristin Panitch. Me too! I wanted something bright and cheerful, so when you open up the piece it's like WOAH. Later I realized it looks very "Carolina blue". Oh well, not necessarily a bad thing in Charlotte, NC. Amanda and I spent a couple hours yesterday fluffing our booth at Slate. It's looking pretty good if I say so myself! 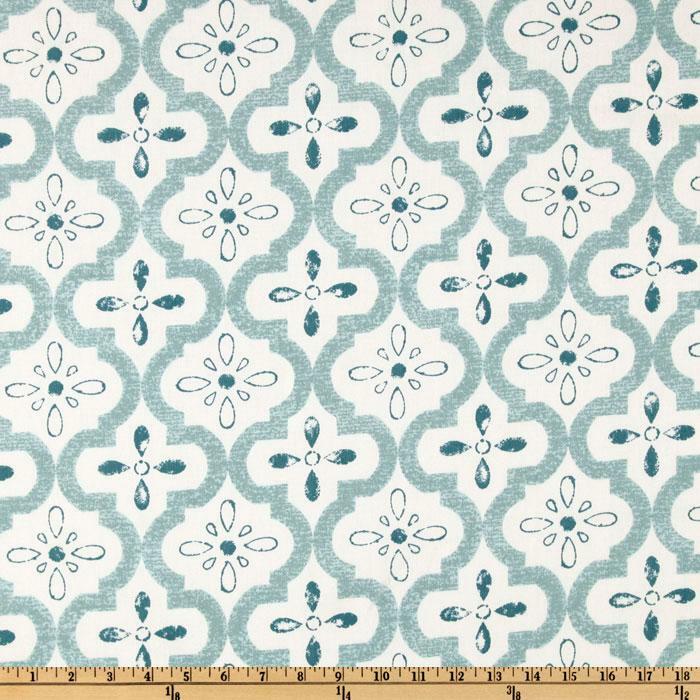 Recently, I fell in love with this Mark Alexander for Romo fabric. It's so beautiful in person, but also so expensive (I always seem to love the expensive stuff). In case you're curious, it's something like $178 retail (but as a note, I always give my clients a discount off of retail on fabric). I thought it'd be perfect for a round skirted table I've been wanting, but not going to happen. Not that you can really compare the two, but I also like this fabric which is less than $16/yard. Much, much better. I think it'd work in our family room. I love blue (well except for Carolina Blue-- I'm a NC State girl) and have it all over my house. Can't get enough of it! Love the new background! Looks very fresh and perfect for spring. Blue never gets old to me either. I got on my blue kick when I painted our living room "boca raton blue" by BM and now I can't stop. I wish I lived close enough to visit your booth!! 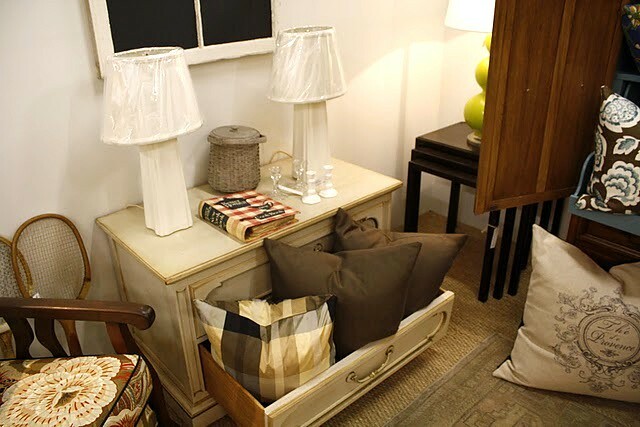 love the green table lamps.....can you tell me how much they are? I can not escape blue either, I actually think that every room should have blue in it! I love the new bolster pillow @ Slate! I was there Saturday and would've snatched it right up. Could you tell me what color it is? And price? Sure! They are $200 each and LARGE Robert Abbey gourd lamps. (that's a great deal for that style). Thank you! You just missed us, we were there on Sunday. The price is $50 if I remember correctly. 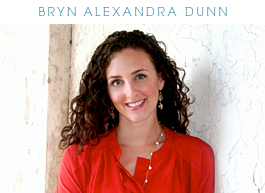 Bryn--I'm seriously loving that oversized sconce in your booth. I am wondering if it would work in my youngest daughter's room. . . . Do you remember the price? 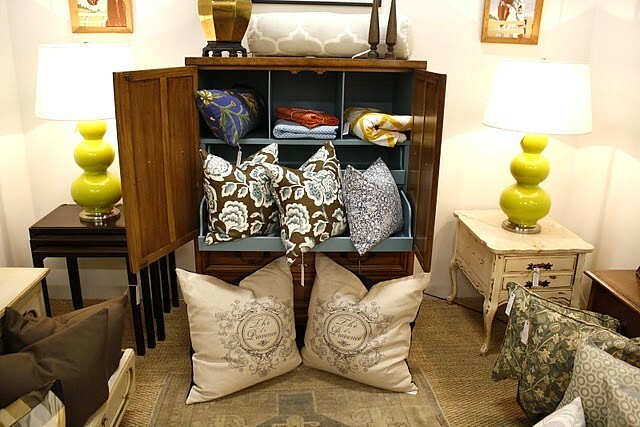 Wow, love the lined armoire. I have a few shelves that I need to do this way to add pops of color. 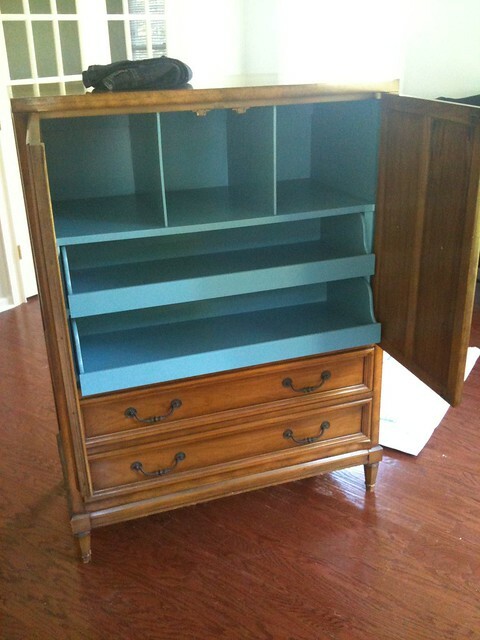 I love what you did to the armoire dresser - wow! I am certainly on a blue kick lately too, especially the dark, rich navy blues. 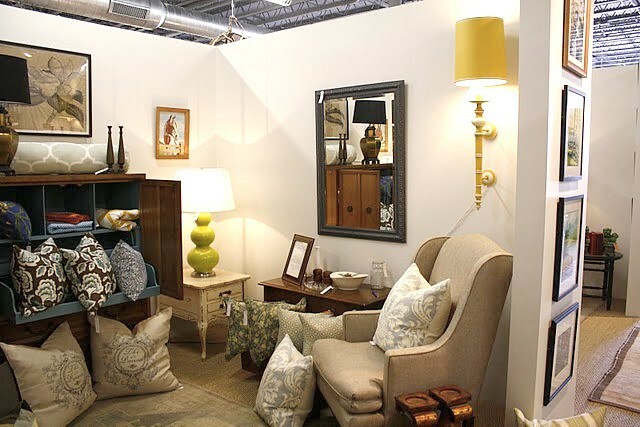 Your booth looks incredible and the inside of your armoire....beautiful. I'm feeling you on the blue too -- I've been wanting to inject some rich navy tones in our living room for a while and finally bought some fabrics :) Looking forward to making pretty pillows! You and your MOH should try to do a faux linen finish with that stone fence Behr paint in your laundry room (similar to your background). I think it would look UH-mazing! I'm obsessed with blue, we have it in every single room of our house. Thanks for the inspiration! Loving all things blue right now, and your booth at Slate is wonderful. I live about an hour from Charlotte and will be there on Friday, so I'm excited to see your great finds!! I've been to Interior's Marketplace and Post and Gray many times, but somehow have managed to miss Slate...a new addition to my shopping rounds!! Our bedroom is painted Whispering Spring (BM) and I wake up happy every day! I just went and bought it on my lunch! I can't wait to take it home and see how wonderful it looks! Love your new look....I am all about blue as you know! And...you booth looks great, love that you painted the interior of that piece. It makes it so much more interesting.